What a business should look for in an email management system depends on their size, industry and specific needs. There are however basic functions that every program should offer business. 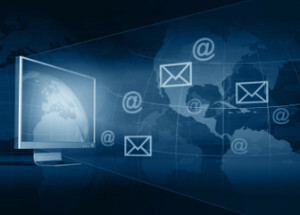 There are dozens of factors to consider when evaluating potential email management systems. This starts out with the initial cost and associated monthly plan or hosting fees. Most new systems come with calendars, email templates, automated archiving and social media functions. Some companies that host email management systems offer phone, email and live chat support around the clock. Some systems are designed to integrate with popular platforms, such as Gmail, Office and Google Analytics. When selecting a system, IT administrators should ensure that the email ticketing, spam filtering and receipt module systems will not only meet current demands, but grow with the business. Some email management systems are designed to integrate with standard business programs, such as HR, IT, CRM and accounting programs. These software programs have minimal functions and are designed for businesses with limited needs. When selecting an email management system, companies must review their specific business needs. For instance, marketing companies will need email programs that offer marketing functions, such as tools to track email marketing campaigns and complex contact databases. Accounting firms will need an email management system that works seamlessly with their accounting software, so they can easily export and email financial reports. Sales departments will need an email system that perfectly integrates with their CRM program. Most managers struggle to keep up with the hundreds of emails that they receive every day. Fortunately, certain email systems are designed to help managers better manage their email inbox, according to Entrepreneur. Managers that only need to email and manage tasks will benefit from systems that come with powerful project management functions. These programs are often browser add-ons or simple software programs that enhance existing programs, such as Gmail or Outlook. They provide systematic organization of emails, files, tasks and schedules. These programs work on different devices and platforms, so employees can update and communicate with each other on the go. They also offer multiple accounts, so clients can set up guest accounts to track their project’s progress. Certain companies will need comprehensive systems that manage legal, regulatory and compliance needs. These programs provide complete control over email archives and infrastructure. These programs are popular among law, corporate, financial and health care companies that must maintain continual transparency. These systems increase accountability, organization and records management efficacy. At any time, IT administrators can view stored mailbox content, online archives and network and desktop files. These systems streamline audit processes and increase compliance with regulations. IT administrators have access to a flexible set of tools and actions that can do everything from creating individual user rules to formulating customized reports with statistical information. What a business should look for in an email management system will ultimately depend on their specific needs, but the system should be designed to progressively grow with the company.